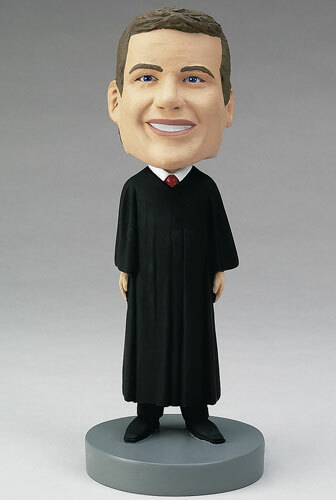 A custom bobblehead in a judge's robes can be a fun present to any lawyer you may know, whether they only just graduated, were recently put on the bench, or as a retirement gift. Personalize the bobblehead doll by uploading a picture, requesting changes in his outfit, and engraving the base. You could engrave the base with their title, their term, or a Latin phrase from their profession as an attorney or judge.